The intersection of Slauson Avenue and Crenshaw Boulevard is to set to be renamed after slain rapper Nipsey Hussle. The LA Times reported that the Los Angeles City Councilman Marqueece Harris-Dawson made the decision on Tuesday to honor the 33-year-old LA native; noting that Hussle was a champion for the South. Dawson noted that a petition with over 450,000 signatures was the catalysis for the change. 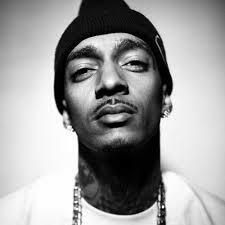 The street will reportedly become “Ermias ‘Nipsey Hussle’ Asghedom Square”, though the date of the change is unknown. Nipsey and Harris-Dawson form a working relationship during an outdoor cultural and art project for south LA called the Destination Crenshaw project, which celebrated the black Los Angeles experience.